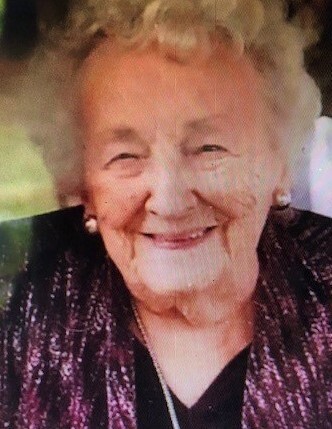 Arlene A. Kuster (Fessler) age 93 of Blossburg died at the Wellsboro Soldiers and Sailors Hospital Tuesday September 18, 2018. Born October 23, 1924 in Covington, PA. She was the daughter of Charles H. and Anna L. Fessler and married to Frederick (Ted) Kuster for 57 years having married on January 4, 1947. Arlene was a long time member of the Blossburg United Methodist Church and a pillar of the Blossburg community for over 70 years. She supported her North Penn Panther and Penn State Nittany Lion Teams and joyed in attending Penn State bowl games. Arlene loved her summers at Keuka Lake where she watched her family and their families enjoy growing up in the refreshing lake water. Surviving is son Fred (Debby) Kuster of Millville, DE, daughter Barbara (Greg) Howard of York, PA. Grandchildren Lauren Kuster of Tampa, FL., David (Daniela) Kuster of Point Pleasant, NJ., Ryan ( Angie) Howard of York, PA., Krista Howard of Philadelphia, PA. Great Grandchildren Jackson Kuster of Point Pleasant, NJ. , Leila Kuster of Tampa, FL., Hailey and Wyatt Howard of York, PA. Brother Charles Fessler of Covington, PA. Also surviving are numerous nieces and nephews and their families who all were under Arlene’s loving and caring umbrella. A memorial service is planned for October 20, 2018, 1pm at the Blossburg First United Methodist Church. After the service, a fellowship time and lunch will be held at the church fellowship hall. In lieu of flowers, donations may be made in Arlene’s memory to the Blossburg Fireman’s Ambulance Company 324 Main Street Blossburg, PA 16912, Southern Tioga Grid Iron Club Box 147 Blossburg, or the Blossburg United Methodist Church 108 N. Williamson Road Blossburg, PA 16912.